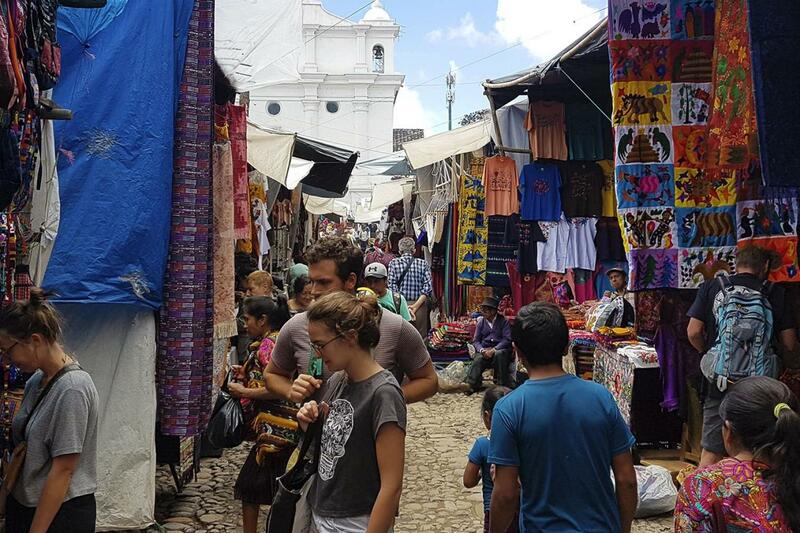 On the first day of the tour we will visit the highland of Guatemala and explore the colorful market of Chichicastenango ( Thursday & Sunday), Vendors sell handicrafts, food, flowers, pottery, wooden boxes, condiments, medicinal plants, candles, pom and copal (traditional incense), cal (lime stones for preparing tortillas), grindstones, pigs and chickens, machetes, and other tools. On the second day of the tour we will visit Lake Atitlan - recognized to be the deepest lake in Central America. Breakfast. Departure from your hotel in Guatemala City to Chichicastenango at 6:30 am, where you will see the most colorful and picturesque outdoor market in Guatemala, where every Thursday and Sunday locals from the region, gather to buy and sell fruits, vegetables, flowers, grains, animals, textiles and handicrafts. Relevant is the visit to the Santo Tomás Church. Time to Lunch (not Included) we continue to Panajachel on Lake Atitlan one of most beautiful place in the world. This morning will take a scenic boat ride across Lake Atitlan to the village of Santiago Lake Atitlan - renowned as one of the most beautiful lakes in the world. Arrive to the village of Santiago Atitlan - the town sits on a bay of Lago Atitlan between two volcanos. We will visit the Santiago Apostol Church, which was built between 1572 and 1581, and has been restored and reconstructed several times after significant earthquake damage. It has three altarpieces representing the three volcanoes that tower over the village.